Home Technology Cloud Threatening Scams: What Can You Do to Protect Yourself? Compared to the past, today’s businesses have a much broader range of opportunities to take advantage of and this is due solely to advances in technology. Technology has diversified business objectives and made it possible for businesses to profit from simple actions, such as building a software application or automating systems to generate more sales with less human effort. Though there are many advantages, business owners will find out that technology has some major drawbacks too; among the most notable is dealing with unscrupulous characters intent on scamming the business out of money, hacking computers or network systems, and/or disrupting or stealing data. Companies are warned that if they’re using a network, especially a cloud network, it’s essential to protect that data with the proper security efforts, such as advanced malware protection and cloud security. 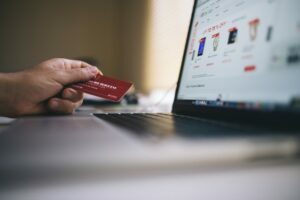 It’s important that business owners and their staff stay familiar with the tactics and strategies scammers are using, so the following lists some of the more common scams that businesses face and a few ways to protect yourself. Similar to holding a person hostage, ransomware holds a computer and/or network hostage until someone pays a ransom. Of course, it’s not as emotional or dangerous as when a person’s life is in danger, but if the ransomware isn’t paid in a certain amount of time the held files may never be unencrypted or recovered, which can cripple businesses. According to Wired.com, ransomware has been around since 2005, but scammers have improved the scheme so much that it’s on the rise and attacks are predicted to grow. Remember: if you back up your data at the end of every day, ransomware can’t effect you. You can simply use your backup files to restore your computer or network. Phishing is when attempts are made to acquire information from an individual or entity; in most cases, phishers target a business’s employees. The targeted employee may receive a legitimate-looking email message; it may even come from the target’s boss (or, appear to come from the target’s boss). If the target doesn’t recognize the phishing scheme for what it is, he or she may be fooled into giving away personal information, company data, or login information. It’s important that a business takes the time to educate all workers on the dangers of phishing scams, and the warning signs of them so they’re easier to spot. Fake invoices are what Consumer Affairs calls “a classic form of fraud,” however technology has given this ages-old scam a face lift. The scammer mails a real-looking bill or invoice and the targeted business accidentally pays the fraudulent bill along with their real ones. Email is the reason this scam has seen a resurgence, as it’s easy for scammers to send out tens of thousands of emailed invoices. Your financial team should be trained to be very discerning when it comes to invoices and double and triple check each one to ensure it’s accurate, factual, and came from a legitimate source. A confidence scheme or scam is when a person attempts to defraud another (or a business) by gaining their trust. These scammers pose as legitimate business people with legitimate opportunities, and they may even pass some cash your way to get you interested. It’s an oldie, but a goodie because it continues to work and scammers continue to profit due to rises in technology. Today’s confidence man probably lives in Nigeria, but will pretend to be from somewhere else; and, more than likely, will sound like he comes from somewhere else and has an excellent international business deal for you. (If it sounds too good to be true, it probably is.) The scam will end up costing you money and possibly your reputation if you fall for it; Scammers will use email, phone calls, and even fax machines to try and keep you in the fold. They may even pretend to be from legitimate United States-based organizations, such as the IRS. Scammers pose as IRS agents and contact legitimate tax paying companies with a demand for debt repayment, such as income tax debt, penalties, or interest. If you get messages claiming to be from the IRS or any organization really, look online to find the real numbers and call the real company; if there’s no record of the debt, you’ve caught a scammer and you can turn over the evidence you have to the FBI. There are so many benefits to using technology; unfortunately, scammers are proving to be a major drawback. The Internet has made scheming commonplace and hackers are everywhere online. It’s essential that employees are trained to recognize these scams, as well as businesses, are encouraged to subscribe to comprehensive cybersecurity solutions and regularly back up their data (both on the cloud and on physical hard drives). These are your best defense against a digital world of schemers and confidence men.